EMBRACE Provides Medical Assistance in Dolores, Abra – Jaime V. Ongpin Foundation, Inc. Despite the humid weather and long queues, bright smiles and never-ending thanks were seen on the faces of the beneficiaries who were part of the Health Caravan conducted in Dolores, Abra. EMBRACE has once again extended its help through provision of medicines last November 17, 2018. Services like medical, dental, ophthalmological consultation and free haircutting were conducted during the event. Assisting in the activity were various project partners: Philippine National Police Special Action Force Second Special Action Battalion, Trust and Believe in me Foundation, Inc. Local Government Unit of Dolores, Dolosan Inter Local Health Zone and the Department of Health. Each group had their own responsibilities and formed part in the success of the activity. The activity benefited not only the residents of Dolores but also other nearby municipalities such as Lagangilang, San Juan, Tineg, and Tayum. Residents from these areas are more than thankful to experience these kinds of activities since most of them could not afford basic healthcare services. “Thank you very much for the help. 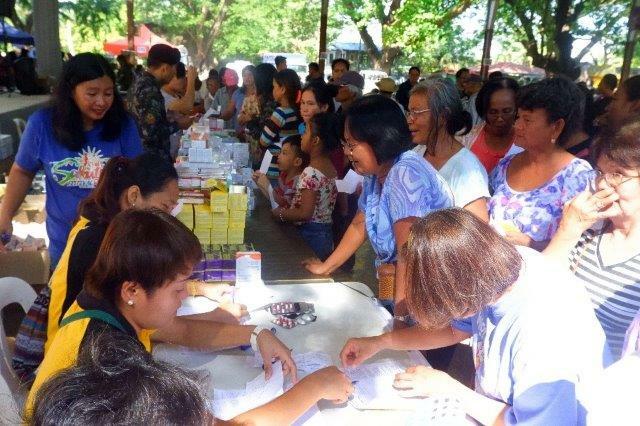 A lot of the residents especially farmers were given free medicines which they cannot afford to buy,” said Dolores, Abra Vice Mayor Emelito T. Cortez.